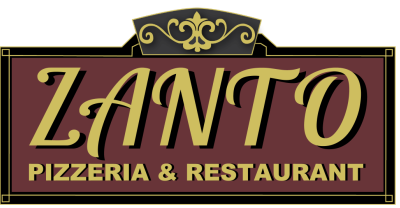 The menu consists of many authentic Italian dishes as well as a variety of chicken, steaks, seafood, wraps, salads, gourmet pizza and specialty sandwiches. For dessert you will also find many choices to satisfy your sweet tooth. Choice of Dressings: Ranch, Blue Cheese, Golden Italian, Balsamic Vinaigrette, Honey Mustard, Parmesan Peppercorn, Greek, and Oil & Vinegar. Romaine Lettuce, Homemade Croutons and Pecorino Romano Cheese. Buffalo, Asian, Blackened, Sweet Chili, or Plain. Grilled chicken and strips of gyro with tomatoes, onions and tzaziki sauce in a pita. Thinly Sliced Breaded Eggplant topped with Marinara Sauce and Mozzarella Cheese, then Baked. Served with your Choice of Pasta. Boneless Breaded Chicken Breast topped with Marinara Sauce and Mozzarella Cheese, then Baked. Served with your Choice of Pasta. Baked in a Casserole with Marinara Sauce, topped with Mozzarella Cheese. Sauteed Chicken Breasts in a Lemon White Wine Sauce with Spinach, Artichokes, Mushrooms, Sun Dried Tomatoes, Olive Oil and Garlic. Served with Pasta or Potato. Your Choice of Francaise, Marsala or Piccatta. Served with Pasta or Potato. Sliced Grilled Chicken breast tossed with Asparagus and Sun Dried Tomatoes in our own Fresh Basil Pesto Sauce, Tossed with Penne Pasta. Pepperoni, Hamburger, Sausage, Ham, Onions, Peppers, Roasted Peppers, Mushrooms, Spinach, Black Olives, Broccoli, Eggplant, Pineapple, Jalapenos, Garlic. Made with our own Pizza Dough, Stuffed with Ricotta, Parmesan and Mozzarella Cheese. Served with Sauce. Fresh Filet of Salmon Sauteed in Lemon White Wine Sauce with Capers, Pimentos. Served over Rice. If there is an item you would like but do not see it on the menu, ask your server and we will make every effort to accommodate you.